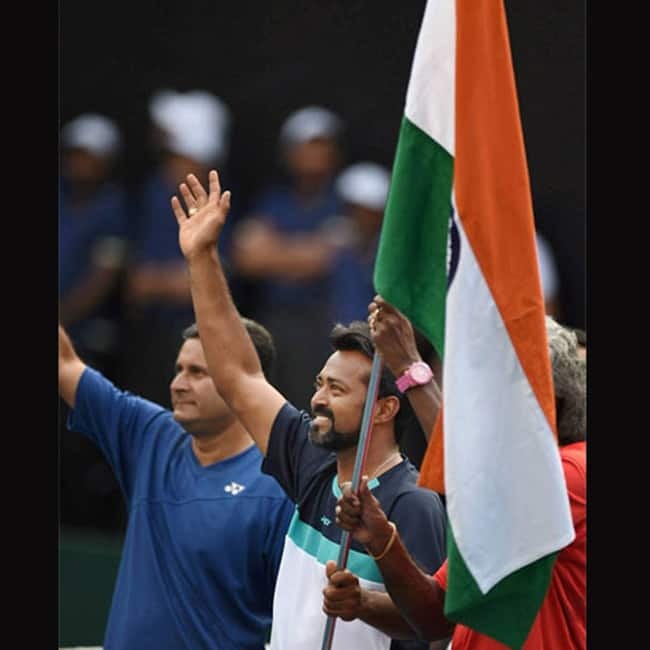 Davis Cup: Leander Paes, Ramkumar Ramnathan’s VICTORY DANCE is something you will see first time, see pics! 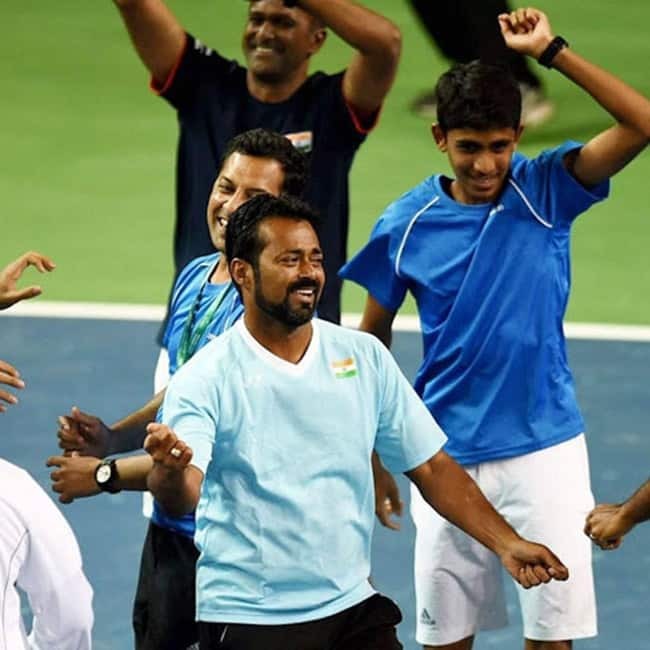 The victory dance by ace tennis player Leander Paes is just the reflection of the happiness he is feeling right now after defeating New Zealand in first match of Davis Cup by Asia Osnia group in Pune. New Zealand lost by 4-1 points to India after which the court was flooded with Indian team. It was not only Leander Paes, but the complete team who couldn’t resist but dance on their amazing win against New Zealand’s team with such difference of points. Leander Paes speaks over Rio Olympics 2016 selection!